Self-Help for Anxiety Management (SAM) offers a range of self-help methods to help you manage anxiety. 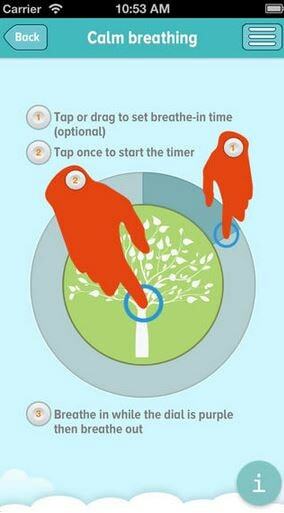 It has been developed by psychologists and provides 25 self-help options on anxiety, relaxation and health. 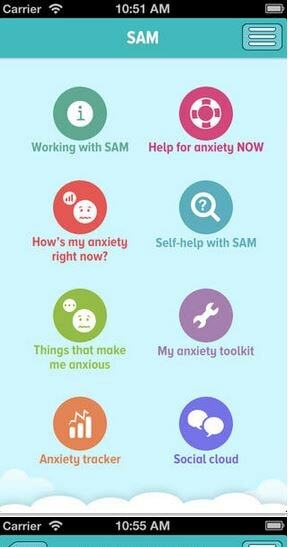 You are encouraged to use the resources and tools in SAM to build your own anxiety toolkit that will help you cope when you're feeling anxious. There is a closed social network of SAM users to chat to and monitoring tools to help you track your progress. The app is very user friendly for general anxiety. The picture and popping exercises are very helpful. It’s also good that the app has been developed in collaboration with a research team from UWE, Bristol. It helps clients to understand what causes their anxiety, monitors their anxious thoughts and behaviour over time, and manages their anxiety through self-help exercises and private reflection. However, there is no diary function, no cloud moderation, and no help for panic attacks. It’s a very good app, but I can’t find any peer review studies on RCT’s which is disappointing. 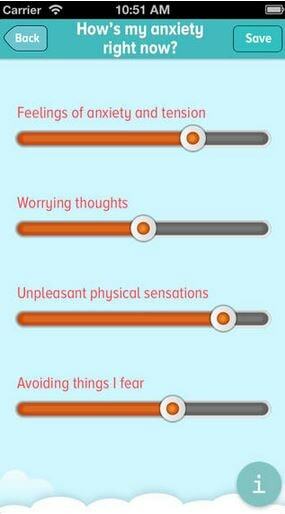 - ability to track your anxiety levels. Many different screens, some with slightly overlapping purposes which makes navigation and usability difficult upon first starting to use the app. The simplicity. I think it would work well for people under care of therapists, but there's not a lot to it - just basic relaxing. Works both ways really. There wasn't a lot of information there, it mostly consisted of meditations and relaxation exercises. Sometimes information that explains what is anxiety and why the exercise The might help could benefit a lot.